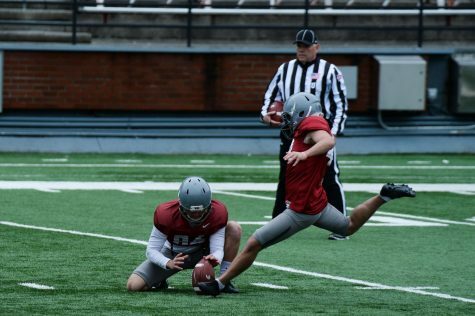 Redshirt freshman quarterback Cammon Cooper goes through passing drills Thursday at Martin Stadium. 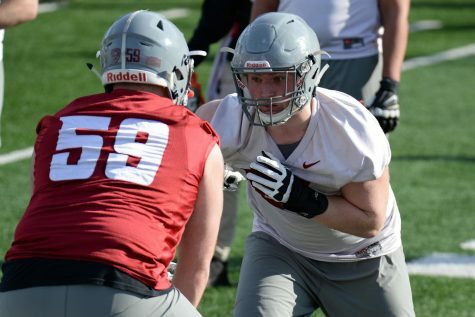 The sun was out in Pullman on Saturday afternoon as WSU football took the field at Martin Stadium for its second spring practice. 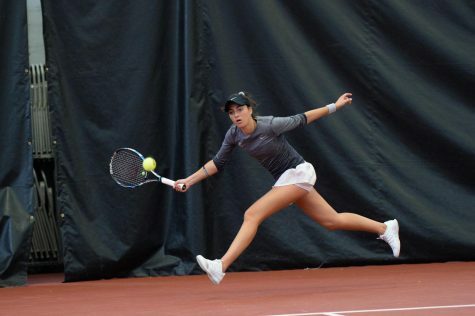 The Cougars started off the day with position-specific drills. 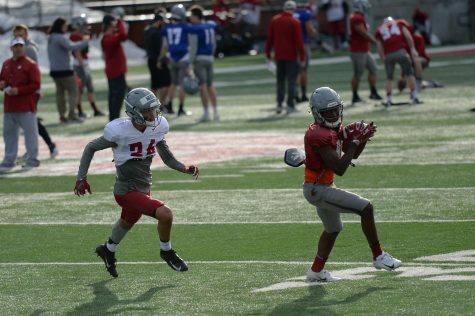 Quarterbacks worked on connecting with the wide receivers, the defensive lineman squared off with the offensive lineman and the secondary worked on tackling. After that the team came together to do some team drills as the offense went head-to-head against the defense. 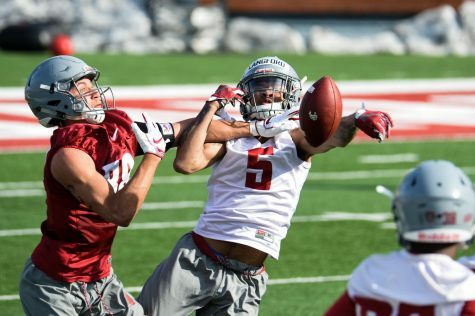 This was the last time this spring the Cougars will practice without pads. 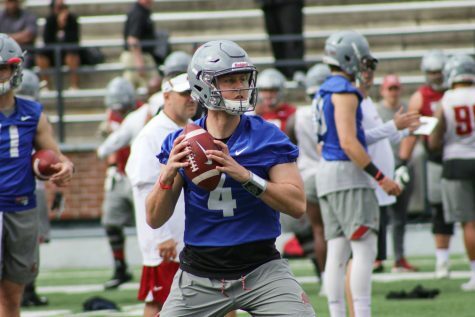 Of course, all eyes were on redshirt senior quarterbacks Trey Tinsley and Anthony Gordon, who are battling it out in the spring to see who could line up under center for the Cougars next season. 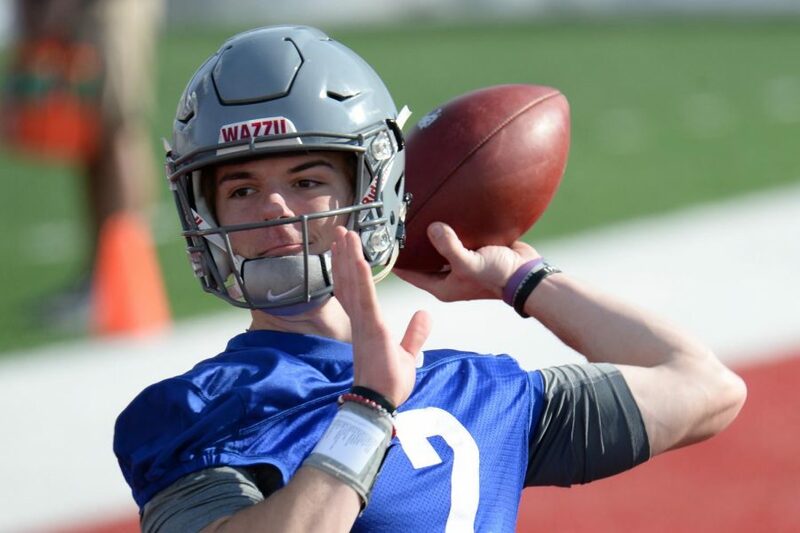 The other quarterback that is going to vie for the starting quarterback job, graduate transfer Gage Gubrud, watched from the sidelines in a boot as he is expected to be out for the entirety of spring camp with a foot injury. 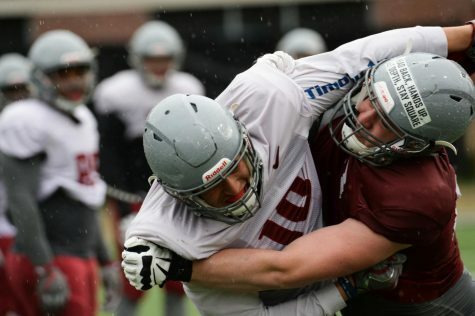 Tinsley and Gordon made use of their time in practice, impressing their teammates and coaches with some nice throws to carve up the defense. 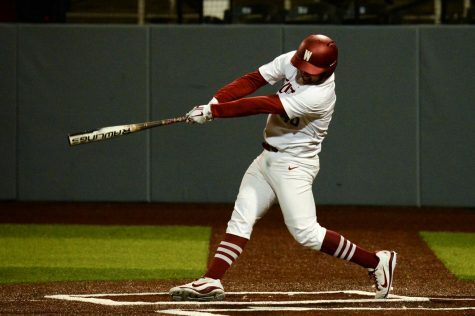 Tinsley said he’s been working all offseason to get better in all aspects of his game. 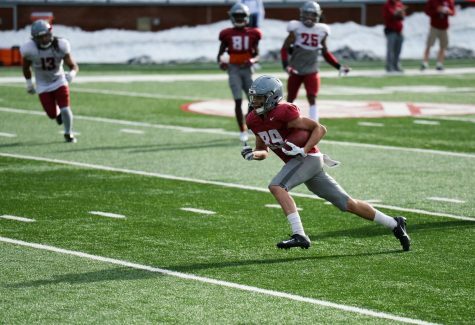 There were some other impressive highlights from practice with one coming from sophomore running back Max Borghi who had a 40-yard touchdown run. The defense made some nice plays as well with redshirt junior safety Bryce Beekman intercepting redshirt sophomore quarterback John Bledsoe, who has looked good himself in his quest to fight for the starting quarterback job. 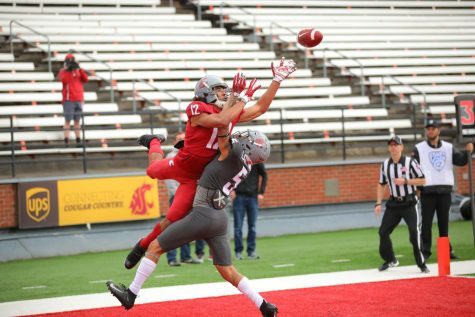 There was also a former WSU quarterback in attendance at Martin Stadium on Saturday. 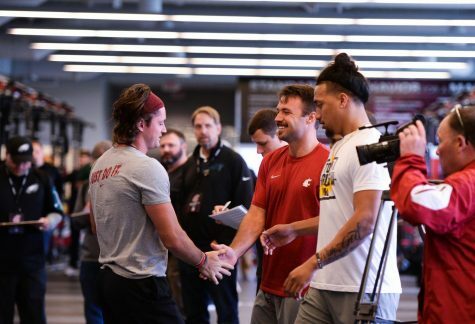 Gardner Minshew made an appearance at practice as he prepares for the WSU pro day on April 3. 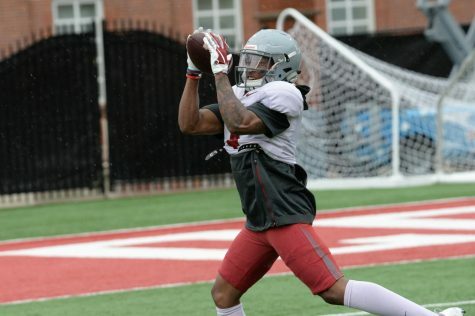 The Cougars return to the field on Tuesday for their next practice as they put on the pads for the first time this spring.